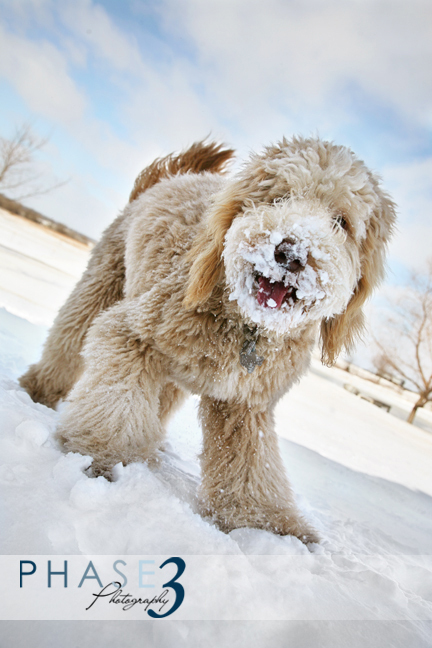 This winter has brought an unusual amount of snow, but our puppy Ollie has been enjoying it as much as he can. Here is a photo of him having fun. I think there’s more snow on him then there is on the ground! 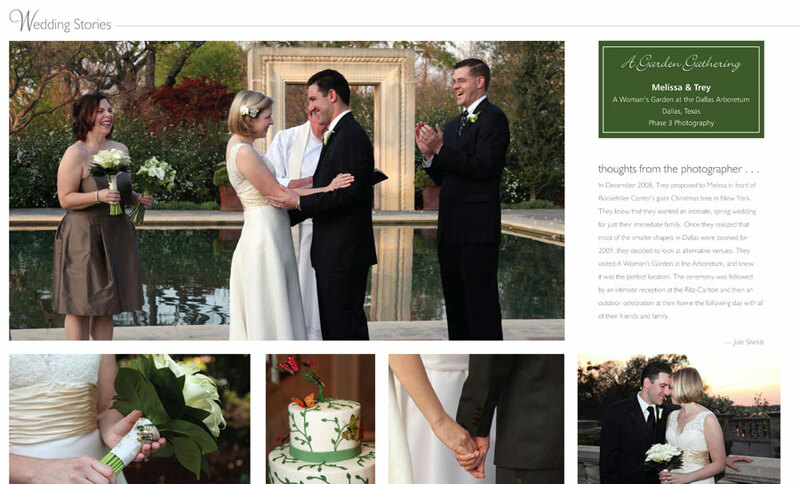 Melissa & Trey’s wedding at the Dallas Arboretum is featured in the newest issue of the Texas Wedding Guide. It’s a wonderful magazine that is a great resource for anyone planning a wedding and we are excited to be in the newest issue. I know Trey & Melissa are too! We are very excited to be honored with WeddingWire.com’s Bride’s Choice Award for the second year in a row! This award recognizes the top five percent of all vendors in the WeddingWire Community. We want to say thank you to all of our clients who helped make this award possible. Here’s to another great year! We photographed so many beautiful weddings at the Dallas Arboretum this year and I wanted to post some of the photos from the two most recent weddings. First is Lisa and Brent’s vintage garden themed wedding in the Sunken Garden. And since we had such a blast with their engagement session in historic downtown McKinney I had to share a couple of photos from that session as well. I just had to share some photos from Melissa and Trey’s wedding at the Dallas Arboretum on March 20th. The ceremony took place at sunset in A Women’s Garden and it was so beautiful! Their reception took place later that evening at the Ritz-Carlton in Dallas. The cake, by Le Gateau Cakery, followed with the butterfly theme and was very whimsical (and I heard quite tasty too)! The next evening they had a big party in their backyard and it was so much fun! They served fries, mini burgers and cupcakes and everyone danced into the wee hours of the night. Congratulations Melissa and Trey! I want to share some photos from Tiffany & Jay’s recent engagement session. They are such a sweet couple and you can tell they just adore each other! We have been so lucky getting to know them the past few months and can’t wait to share more photos from their wedding soon at Delaney Vineyards. 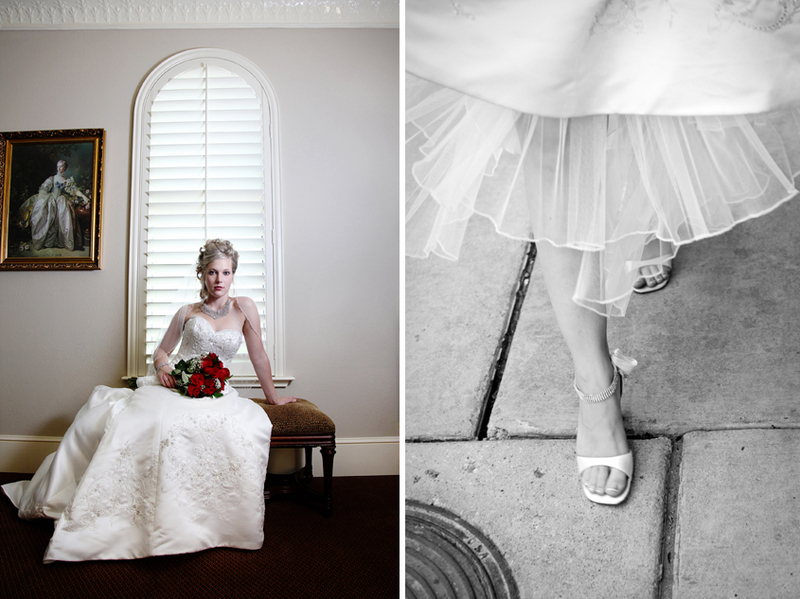 I am excited to say Phase 3 Photography was recently awarded a 2009 Bride’s Choice Award from WeddingWire. You can read more about this award in the press release below. In its inaugural year, the Bride’s Choice Awards recognizes and honors vendors from the WeddingWire Network that demonstrate excellent quality of service, responsiveness, professionalism, value of cost and flexibility. This year’s recipients represent the top three percent of WeddingWire’s vendor community, which includes over 100,000 wedding vendors from across the US. That means Phase 3 Photography is one of the very best. Phase 3 Photography would like to thank our past clients for speaking on our behalf and helping us win the 2009 Bride’s Choice Award! Brittany & Ethan are such a fun and creative couple and we were so excited to photograph their wedding! They wanted to do something unique for their wedding and decided on a Tim Burton theme. 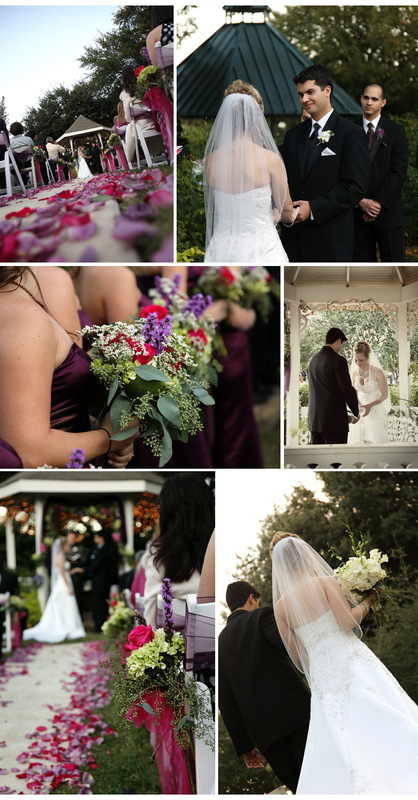 Wendy Kidd with Each and Every Detail helped them transform their wedding and reception into something truly beautiful. 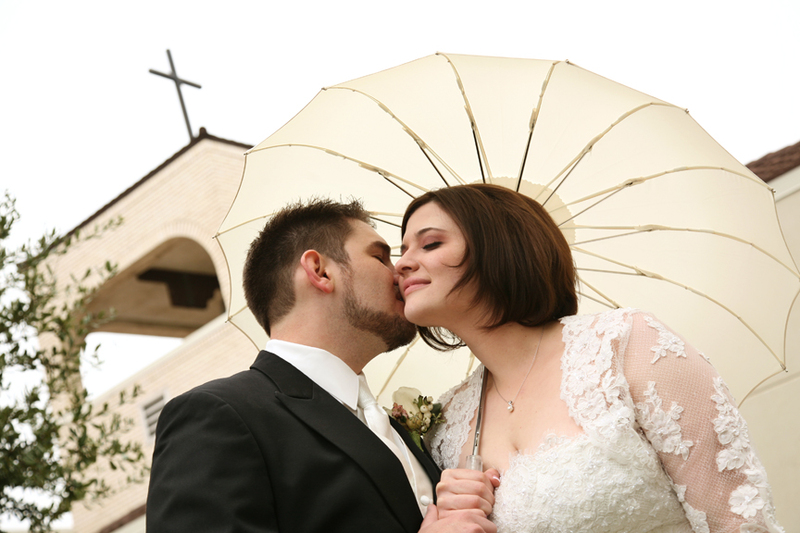 The most amazing string arrangements played throughout the ceremony and I was blown away! The floral arrangements were done by the amazing Pamm Meyers with Bridal Blooms and Creations and Soulbox Productions did the videography shooting only on 8mm film as requested by Brittany & Ethan.